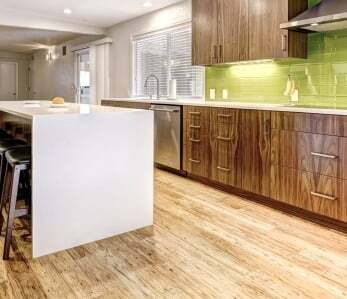 Your floors are some of the most important, and often most expensive, features of your home. If you want them to stay looking beautiful you need to learn which maintenance techniques to use on them. 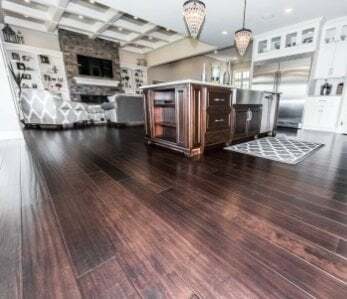 Below, we’ve listed some of the most common types of flooring with tips on how you can keep them looking great! Vinyl floors are very durable and resist scratching and moisture. They are a great option for households with pets. As strong as these floors are though, they still require some upkeep. It’s important to wipe up spills as quickly as possible, mostly because you don’t want anything to dry and harden on your floors. Sweep up dirt often so it doesn’t get ground into the little crevices. In fact, with any floors, it’s a good idea to have doormats in front of all the doors so people can wipe their shoes off before entering the house. 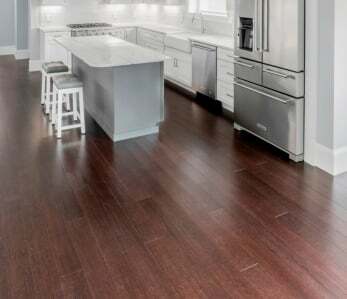 Resist the temptation to use harsh chemicals on your vinyl floor. All you really need is a very mild detergent, preferably a cleaner specifically made for no-wax floors. Dampen a mop or sponge with the mixture and rub the floor. Rinse well with clean, cool water. Make sure your mop or sponge is merely damp, not drenched, as water will make its way into and under your vinyl through seams and edges which will eventually destroy the glue bond. Some people only vacuum their carpet when it is visibly dirty, but if you really want your carpets to last, you should vacuum at least once a week even when dirt isn’t visible. For heavy traffic areas such as hallways and stairs, it is recommended you vacuum twice a week. Also, a good professional steam cleaning once a year is a great way to lift out deep grime and odors and keep your carpets looking and smelling great for many years. For spot removal, there are many different removers on the market and you should always read the label in order to know which one is right for your particular type of carpet or rug. In general though, when trying to remove stains it is always better to dab than rub. Hardwood floors are warm and beautiful and, if taken care of properly, will look stunning for years. 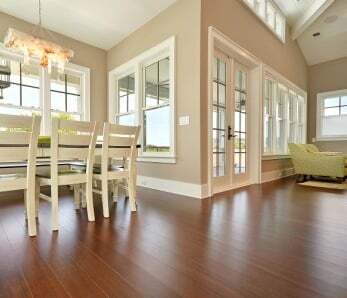 Many with hardwood floors don’t think to sweep or vacuum daily, but doing so will really help keep your floors from getting scratched up. Having said this though, it’s important not to use a vacuum that has a beater bar head attached, as this can mark up floors as well. Spills should immediately be wiped up and when cleaning, it is recommended that a soft cloth be used with cleaning products recommended by the manufacturer. Heels should not be worn in the house and pet’s nails should be kept nice and trimmed. Having entry mats at all outside doorways will provide further protection. 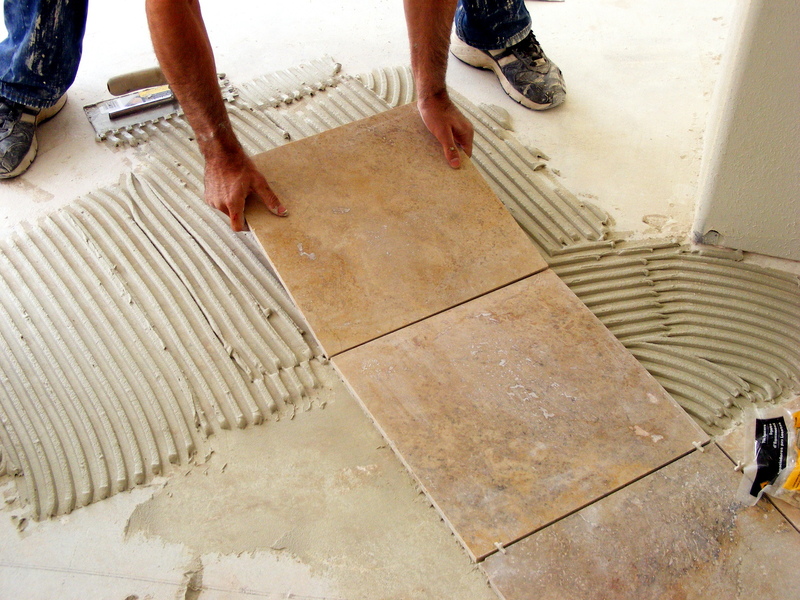 Ceramic tiles are some of the easiest to maintain as they require very little care to keep looking new. As with any floor, sweeping or vacuuming regularly will help the finish from scratching, particularly if your tiles are made from glazed porcelain. 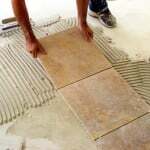 It’s a good idea to place protective pads underneath furniture legs with these tiles as with any floor. Clean up spills quickly, and use only cleanser approved by the manufacturer. 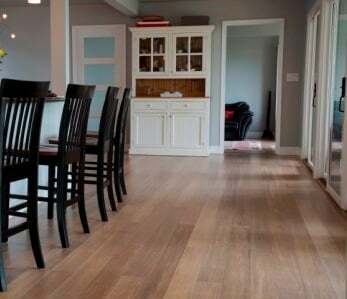 Although bamboo floors are not the same thing as hardwood floors, the care and maintenance is similar. Spills should be cleaned up as quickly as possible and never use a cleaning detergent that is not safe for hardwood floors and always dilute first in a bucket of warm water. When cleaning, always make sure to wring out your mop very well. Since moisture can be problematic, it is also recommended you use a dehumidifier should you live in a humid climate zone. As with hardwood floors, dirt, pet nails, furniture and high heel shoes can scratch the surface, so take the necessary precautions to avoid this. With proper maintenance your floors, no matter the material, can look beautiful for years to come.